Tyler Hatrel, right, and Keaton Biggs pose with a nice wahoo they reeled in earlier this year while trolling shaky baits south of Fourchon. Like so many other Bayou State waterfowl hunters, Tyler Hatrel endured a less-than-stellar duck season this year. 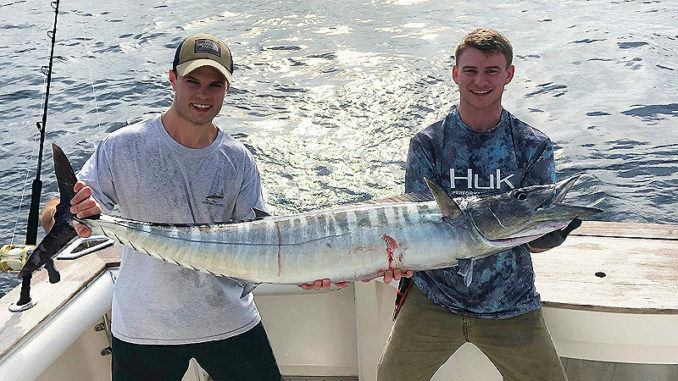 But every cloud has a silver lining: The milder winter that helped make ducks a dud has been a boon offshore so far, and Hatrel and his buddies have been taking out their frustrations by mopping up on wahoo out of Fourchon. And getting out there has definitely been easier this year for Hatrel, a financial advisor for Edward Jones — his dad recently purchased a 34-foot Freeman, the Free & Easy, that arrived just before duck season ended. 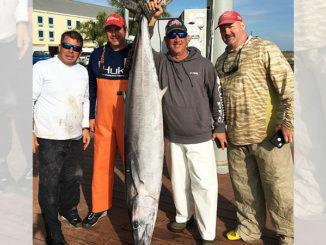 Typically, Hatrel said late-January, February and early-March are prime times to target wahoo off Louisiana’s coast. They head for an area roughly 80 to 90 miles south/southwest of Fourchon. 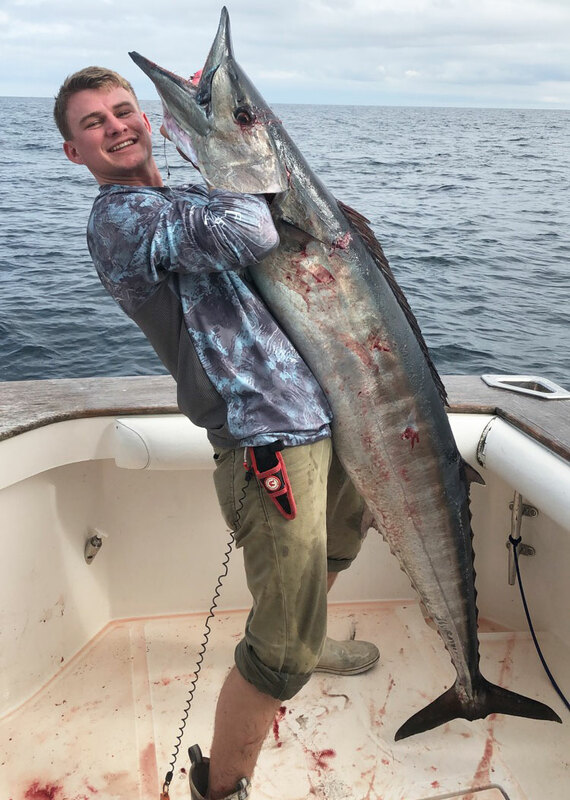 Tyler Hatrel shows off a 67-inch wahoo caught earlier this year about 90 miles south of Fourchon. Hatrel estimated this fish weighed between 75 and 85 pounds. Hatrel said they’ve had success trolling up to about four shaky baits, like a Mann’s Stretch 30, at about 6 or 8 knots. “Sometimes we’ll pull more than that, but in most cases every single rod can go off and it gets out of hand,” he said. “You can’t actually expect to reel in four fish at a time — all hell breaks loose with that many fish on at one time. Reels of choice include Penn 50-wides or 30-wides, or Shimano Tiagra 50-wides or 30-wides, he said. Line is typically 60- to 100-test mono, with a single-strand steel leader 9 to 14 inches long. Sizes have been consistently in the 30- to 60-pound range, with the season’s best so far a 67-incher that was estimated between 75 and 85 pounds. “You’re looking at 40- to 60-inch fish,” he said. “If we can get out there, we go to the same two or three areas, and we would expect to get on them. Hatrel said the wahoo bite seemed a little earlier this year than usual, but expected it would last for several more weeks. 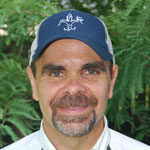 Patrick Bonin is the editor of Louisiana Sportsman magazine and LouisianaSportsman.com.